Figure 9.7 shows that the types of parts that are connected with binding connectors with proxy ports inherit from the proxy port types. 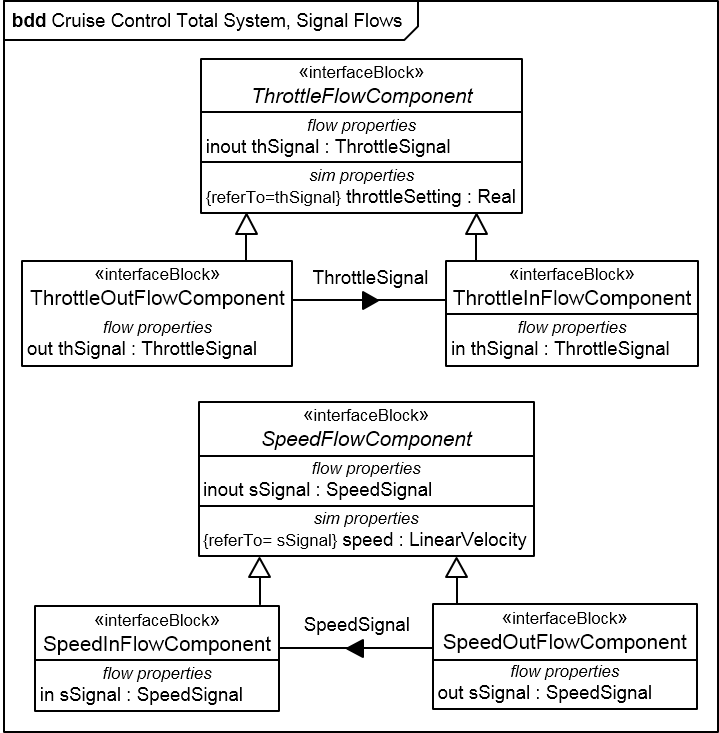 That assures that all the features of the interface block type of the proxy port are implemented by the part. However in practice you typically have for most proxy ports also a connected conjugated proxy port. 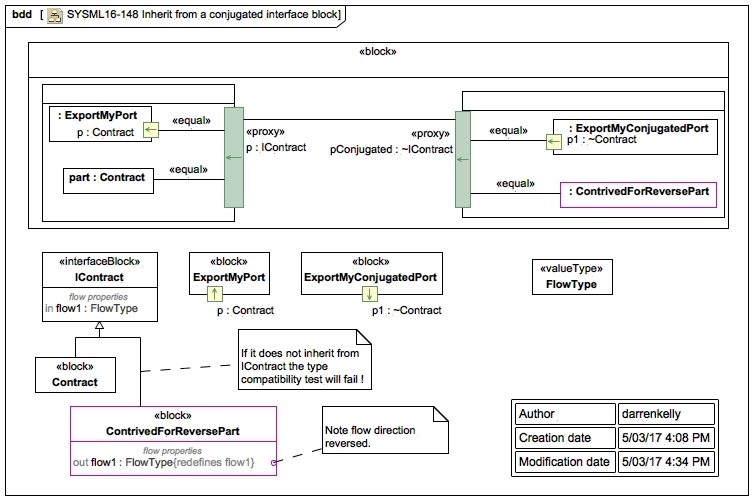 You can't inherit from a conjugated interface block and therefore must manually define a conjugated version of the interface block. In summary that supersedes the concept of conjugation.